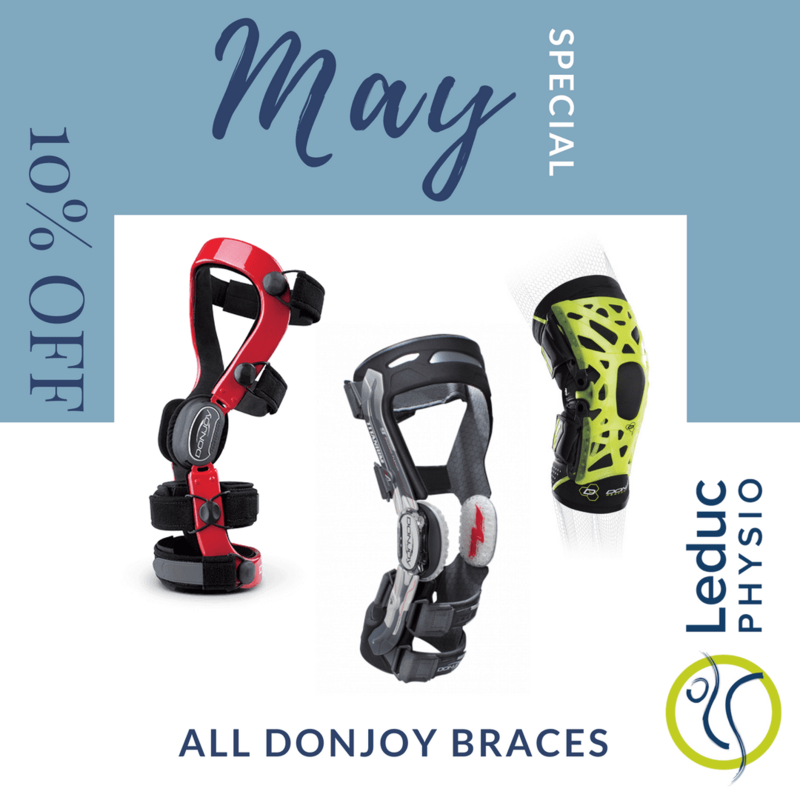 All our DonJoy Knee Braces are on sale for the month of May! This is the perfect time to book your custom knee brace fitting. To enter our contest, take a picture of your worn out knee brace, and we will fit you for a new brace ! 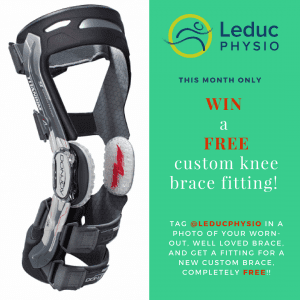 Don’t forget to tag @leducphysio on instagram or twitter.